Taco del Sol opened in the heart of historic downtown Helena in Spring 2004. 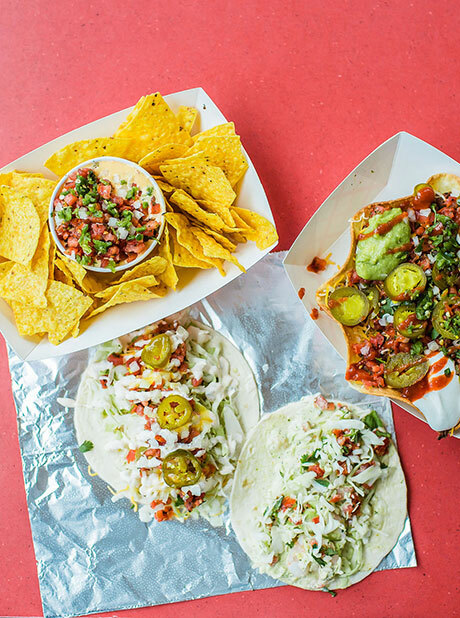 Our famous fish tacos are a consistent favorite among locals and visitors alike. They rely on us to create just what they want to eat: delicious fare with flavorful ingredients. We moved into the historic Placer Hotel in February 2012, and we couldn’t be more excited about this new location. Stop on in and enjoy a tap beer made by local breweries, a Mexican cerveza, or a Jarritos soda, paired with some quick, casual, and spicy-if-you-like fare. The menu is kid-friendly, too! We are always accepting RESUMES, please turn them into us in person at 21 N Last Chance Gulch, on the Walking Mall. We are interested in talking with candidates that are outgoing and hard-working. We employ unique individuals that demonstrate consideration for others, hard work, great work attitudes and a general positive outlook. Expect a fast-paced work environment that is detail-oriented and filled with staff that are driven to perform consistently well in customer service and food preparation. The atmosphere is one of helping one another and stepping in when difficulties arise to help our peers out. If this sounds like a place where you feel that you would fit in, we would love to talk to you. © 2019 Taco Del Sol Helena. All rights reserved.